The Prime Minister, Shri Narendra Modi and the President of the Republic of Korea, Mr. Moon Jae-in jointly inaugurating the Samsung manufacturing plant, World’s Largest Mobile Factory, in Noida, Uttar Pradesh on July 09, 2018. The Chief Minister of Uttar Pradesh, Yogi Adityanath, the Minister of State for Culture (I/C) and Environment, Forest & Climate Change, Dr. Mahesh Sharma and other dignitaries are also seen. New Delhi, July 9 (IANS) South Korean President Moon Jae-in on Monday expressed the hope that his forthcoming summit here with Prime Minister Narendra Modi will help to take bilateral economic relations to the next level, even as both leaders later jointly launched the world’s largest mobile handset factory by Samsung in Noida. President Moon, who arrived in the capital on Sunday on his maiden official visit to India leading a 100-member business delegation, will hold official talks with Modi here on Tuesday. “Our bilateral trade of $20 billion annually, although not insignificant, is falling below our expectations,” Moon said in his address at the India-Korea Business Forum here organised by industry chamber Ficci. “I hope my summit tomorrow (Tuesday) with Prime Minister Modi will help take our economic relationship to the next level,” he said. The South Korean President pointed out that improving economic relations with India was a key element of his country’s new Southern policy. 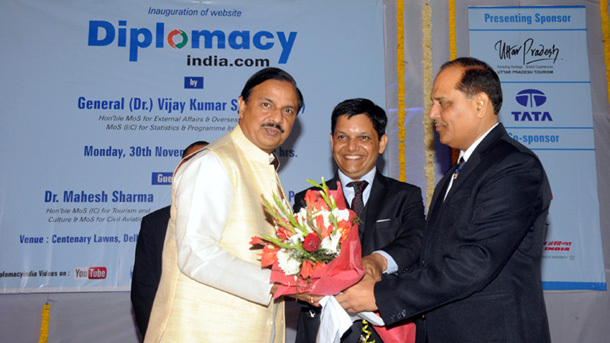 “My new Southern policy is aligned with Modi’s Act East policy. Both the policies will come to completion when prosperity spreads across the Asia,” he said. “This policy aims to move beyond economic cooperation to building a prosperous people-centric community of peace,” he added. He said a financing arrangement of $10 billion has been earmarked by the Korean government for infrastructure development in India. He also said that an MoU on bilateral scientific cooperation is to be signed on Tuesday that will include “industrial technology” in the scope of the agreement. Moon noted that his Southern policy aims to raise Korea’s relations with India to the level of those with the four major powers around the Korean peninsula. “Korea is at a historic turning point following the twin summits (on denuclearisation of the Korean peninsula). If we can bring peace in the Peninsula, the business climate will improve,” he said. In his address, Indian Commerce Minister Suresh Prabhu said that official talks are already underway to improve and upgrade the existing Comprehensive Economic Partnership Agreement (CEPA), or the free trade pact, with South Korea. Prabhu also said the government is actively pursuing the idea of setting up Special Economic Zones (SEZs) in India exclusively for Korean companies. 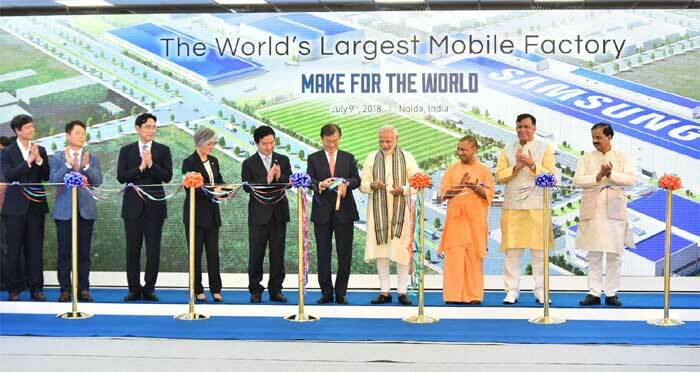 Later on Monday, Moon and Modi jointly inaugurated the world’s largest mobile factory spread over 129,000 sq metres in Noida unveiled by the South Korean tech giant Samsung.